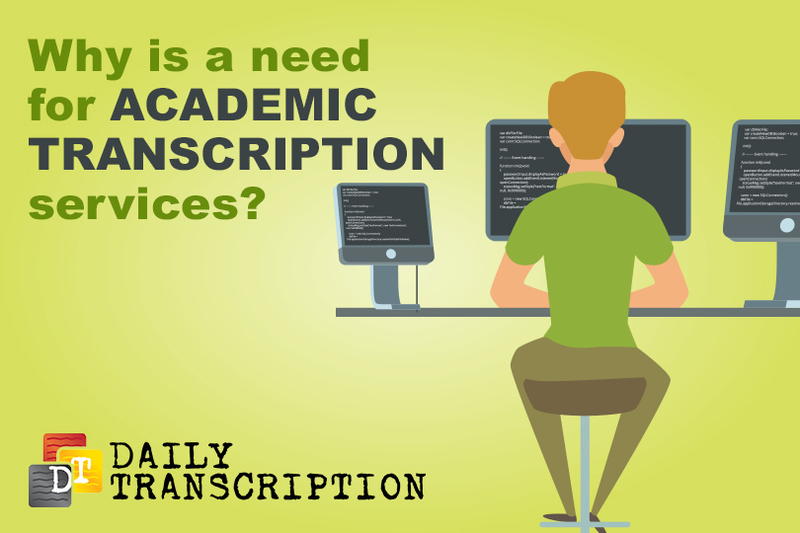 Why Is A Need For Academic Transcription Services? Going to college is a complex and challenging time for any student. There is pressure to do well in your class as well as the need for social interaction with your friends. You could probably use a helping hand when it comes to studying and completing your assignments. An academic transcription service can help. As a student, you are most likely recording your professor’s class presentations to ensure you don’t miss a detail, but transcribing these presentations can take hours. You don’t have the time for that with your other class loads. With an academic transcription service, you can receive transcriptions of all your class lectures in minimal time to help you study for those difficult tests with ease. When you hire an academic transcription service as a student, you are provided with quick transcription turnaround of your class presentations. An academic transcription service is available 24/7, allowing you to submit your recordings any time of day and receive your transcribed presentation in minimal time. How often have you been in class and just were not able to pay attention? The topic may have been over your head or to difficult to grasp the first time around. With an academic transcription service, you are able to review and read exactly what your professor said during the class. An academic transcription service can also help you if you are unable to attend a class. You may have a classmate that recorded the class for you but transcribing it seems like a boring and difficult task. You just don’t have the time to do it, and the result is you never get the information your professor provided. With an academic transcription service, you can easily retain the information your professor presented in a class that you were unable to attend. By having your recording transcribed, you can read and digest the information presented and learn along with your classmates. A transcribed recording of all your classes also provides the perfect study aid. You won’t have to take laborious notes in class and spend your time trying to unravel what you meant when you initially wrote them. With an academic transcription service, you can have all your notes provided as a transcriptionist will transcribe the exact teachings of your professor so you can study faster and easier, freeing you up for the things that you really want to do. With academic transcription service, you will see your performance in class improve as you are able to read over the class presentation until you are certain you understand it. This is a faster technique for studying versus listen to a recording that may have interruptions or information that is not necessary for a test. Having an academic transcription service transcribe your class presentation, will allow you to get the information you need quickly and accurately for studying. Watch as your grades improve even as you spend less time studying the same information. Look to Daily Transcription for the transcription of your class presentations. Its team of transcriptionists have experience transcribing a range of class topics and can provide you the notes you need to ace that next test.